1. Never getting to meet your characters in real life. 2. Realizing after writing a book and while doing the blurb, that large chunks of the book need to be switched/altered/rewritten. 3. Missing characters after the book is published because you cannot imagine reading your own books after publication (or maybe that’s just me). 5. WHEN THE INTERNET FLICKERS OUT. 6. When everything in publishing feels like it takes EONS, even though it only takes AGES. 7. Wondering if you’ll have to start setting books on alien worlds because you will run out of names for characters. 8. Not being able to use a name you love because you dated someone by that name. 9. Running out of your best writer snacks when you have time to write. 10. Getting a million calls when you never get calls when you have time to write. 11. __________ happens when you finally have time to write. 10. Having to do stupid “life” stuff like fold laundry and pay bills and grocery shop. Doesn’t the world understand that you’re trying to BUILD A STORY??? ← Wait! That’s not their name! Talking to non-writer friends about writing…they just don't GET it. Finally figuring out how to write that emotional scene JUST RIGHT and having to go to the bathroom, but debating how bad because you don't want to lose the vibe. I'm here because I heard Jolene was here! I have sat until I've nearly peed my pants before. I know this feeling SO VERY WELL. I KNOW!!!!! 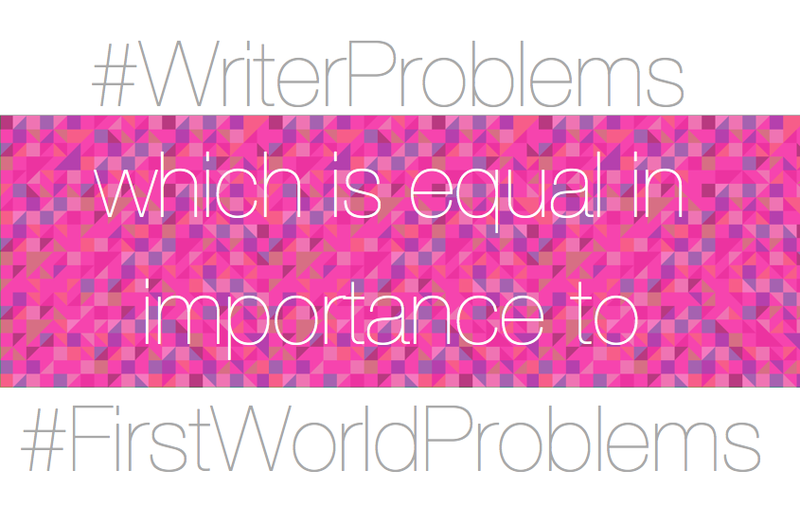 This is why I need face-to-face w/ other writerly peoples.